My parents’ record collection was probably typical of most British people who grew up during the sixties. The break-up of a number of significant 60s acts led to a glut of albums by solo artists. Some were good and some were great and some were awful. Obviously the Beatles led the way in this overabundance of twelve inch vinyl and while those older than myself were expecting tablets of stone from the individual Fabs, I just heard the bits of the early solo LPs which my father thought were good enough for us to hear. Hence he edited “McCartney” down to a decent EP, dropped “I don’t want to be a soldier” and “Oh Yoko” from “Imagine” and brutally cut down “All things must pass” to a measly six songs. But hell those six songs were absolutely fantastic, and we didn’t have to sit through “I dig love” or “The art of dying” on our long car journeys. We had “John Lennon / Plastic Ono Band” as a prerecorded cassette but I never heard it, ever. Maybe there was too much swearing on it for our tender ears. (This didn’t stop my brother and I learning a lot of dirty words from my father’s Penguin copy of “Lennon Remembers” around the same time – this was mid 70s). I’ll look at the Beatles in more detail another time but for this article I want to look at two solo artists who were freed from their bands or partnerships – though the ties still bound in both cases – and who produced superb debut solo albums, then look at their second and third albums. As time passed through 1969, Paul Simon felt restricted by the format of his partnership with Art Garfunkel. It didn’t help that Artie had a part in the film “Catch 22” but Simon’s part had been written out of the final script. So while Garfunkel was shooting the film in Mexico, Simon was brooding into songs like “The only living boy in New York”. After a final tour to promote “Bridge over troubled waters”, they went their seperate ways, Garfunkel moving towards Jimmy Webb songs and angelic cover versions and rabbits. As I have mentioned previously, my parents loved Simon and Garfunkel and had all their albums. When the partnership split in 1970, it was clear which member of the duo would have the most success. At least it seems that way from my parents’ viewpoint as they never bought an Art Garfunkel album but had all Paul Simon’s solo albums up to the late 70s. (This isn’t strictly true, I know my mother had an odd compilation tape which had S&G plus solo material on it – which is why I have Art singing “All I know” in my head at the moment). Simon’s debut album was issued in January 1972 and is almost faultless. Being 3 years old at the time I don’t remember it arriving, but I know the album cover was a familiar item from an early age. After all, Simon was wearing a fur lined snorkel jacket like I wore to school. So it must have been cool. (Or he was trying to hide his receding hair?). “Mother and child reunion” is sort of ska, almost reggae, cooing female vocals, those peculiar hihat stop and starts, minimal guitar lines. And those words. I don’t care what Simon says about it – a meeting of chicken and egg in a Chinese dish? – I always think it’s about the Beatles, sort of – “I know they say let it be”. But it swings as freely as little else in early 1972. “Duncan” shows progress from “Bridge over troubled waters”. Whereas there Simon and Garfunkel sang over an existing Los Incas backing track, here they are integrated within the song. It’s a pencil sketch of a loner’s search for something – freedom, peace, love – and the lyrics paint skillful vignettes of incidents in a life. But Simon sings like he is Duncan himself – those “I know I know I know”s between verses are joyous, he turns “survival” into an eight syllable word. It’s Simon’s freedom from the restrictions of the harmonies with Garfunkel. I still love these lyrics, so enigmatic yet so perfect. “Everything put together falls apart” is mainly Simon on guitar and vocal with a little electric piano and harmonium in the background. But God the words! He’s singing to his generation more than one person – “Watch what you’re doing taking downs…”. The sixties people are getting older, the idealism is melting away, the real world is imposing and looking scary. “Run that body down” says the same thing, kind of. Simon goes to the doctor who tells him to slow down, then he says the same to his wife, before turning it to everyone – “Boy you’d better look around, how long d’you think that you can run that body down?” But there’s an easy jazzy swing to the music, vibraphones and major seventh chorded guitars. The medicine is being sweetened at the moment. “Armistice Day” could be about the Vietnam war dragging on, but is so oblique to be hard to discern. There’s a droning quality to Simon’s acoustic guitar playing – heading back to his days in London with the likes of Bert Jansch and other folk guitar innovators. Around 90 seconds in, a rhythm kicks in alongside a funky electric guitar and some strange horns and it sounds like a precursor to “Spirit of Eden”. Actually what it reminds me of more than anything is “Blank Project”, the new album by Neneh Cherry – the stark beauty of the music, the directness of the rhythms, the focus on the words and voice, cutting the song to it’s barest essentials to exist. But back to “Armistice Day”… When the electric guitar kicks in, Simon gets more impassioned, trying to reach his congressman (why? ), hitting wordless falsetto notes. Something is bothering him, but nothing is delivered. “Me and Julio down in the schoolyard” is another calypso treasure, another shaggy dog story. Lovely. “Peace like a river” is modal tension, based on a rhythmic tape loop – is this about some kind of underground resistance? Eventually the tension is released by the chorus – a bank of wordless backing vocals (last seen on “The only living boy in New York”) engulf Simon as he makes his position clear – “You can beat us with wires, you can beat us with chains, you can run out your rules but you know you can’t outrun the history train”. I feel I’m reading too much into these songs – for me they capture the spirit of the early 70s, the movement, the desire for revolution, the embers slowly burning out by the time of Nixon’s re-election, yet with Watergate ticking like a time bomb in his second administration. And then I watch “Songs of America”, the CBS documentary S&G made in 1969 and they take themselves so seriously that I believe my ideas on this music is at least half right. “Papa Hobo” harks back to “The boxer” with its bass harmonica, but it’s an acoustic waltz – built on Simon’s guitar and a quiet harmonium, but there’s little joy here – a glimpse of a Detroit denizen’s sad life. “Hobo’s blues” is pure joy though – Simon throws some jazzy acoustic guitar while Stephane Grappelli improvises a sweet violin over the top. “Paranoia Blues” is mean – the slide guitars could cut your throat, Simon sounds like’s he clinging on the edge – “There’s only one thing I need to know, who’s side are you on?”. More early 70s paranoia. It’s a personal favourite – all the little details, chow fong in Chinatown! Downright brilliant. “Congratulations” is weary from its own misery, and hints at the direction Simon would take, the use of electric piano and the gospel organ in the background. It’s another generational hymn, a warning to those on the verge of falling apart – the last words on the album are “Can a man and a woman live together in peace?” A theme Simon would return to. “Paul Simon” is short but not a second is wasted. Eighteen months or so from his debut, Simon gets the full treatment from CBS’s art department – a colourful gatefold sleeve, with only a small picture of Simon within the cover (hair receding fast). And the opening track “Kodachrome” is one of the most perfect songs about memory vs reality. That second verse is so right – “Everything looks worse in black and white”. And there’s a change in the music… There’s a richer palette of instruments, organs and pianos and horns and more overdubs. This is not to the song’s detriment. (Odd aside – since the first time I heard “Asylums in Jerusalem” in ’85 it always reminded me of a Paul Simon song and I never put it together with “Kodachrome” until now). And then the album hits a brick wall. “Tenderness” has a bitter lyric – “honesty is such a waste of energy” – some horrible cocktail jazz piano and guitar, and it drags. It sounds like a bad night at a supper club. “Take me to the Mardi Gras” is pleasant enough and enjoyable, especially when the Onward Brass Band kick off at the end. “Something so right” is another slow meditation on relationships which drops bars as it goes along, but doesn’t retain much interest. The arrangement doesn’t help, mushy strings and more electric piano and a parping flute in the background (on loan from the end of “So long Frank Lloyd Wright”). “Cloying” is the word I’m looking for. (An aside – there’s a demo version of this song on a recent reissue which has different chorus words, but is just Simon’s voice and guitar and is far superior – more intimate and heartfelt). “One man’s ceiling is another man’s floor” is far better but wastes a fine intro – that piano line really stuck with me as a youngster – on a boogie-ing verse. Still, it’s uptempo and makes a decent enough point about apartment living, and there’s some return to the debut’s paranoia too. “American tune” is absolutely faultless. For a start the production and arrangement are totally sympathetic (Paul Samwell-Smith and Del Newman respectively, the team behind Cat Stevens at the time) and the song itself is one of Simon’s best. It starts as a state-of-the-nation address – or maybe it’s one of the characters from “America” looking at what he’s seen five years on. “I don’t know a soul who’s not been battered, I don’t have a friend who feels at ease…”. And then the camera pulls back, the narrator dreams of dying, or is it flying, seeing the Statue of Liberty drifting off, that symbol of what America stands for… Then it turns historical, to the Mayflower and the hope of the new land, and is “the age’s most uncertain hour” the historical time of the Mayflower or 1973? This song is so multi-layered, and the melody (based on a Bach chorale) rises to the words. Absolutely beautiful. “Was a sunny day” is quite mellow in contrast, and I used to sing this one as a child. Very pleasant. “Learn how to fall” is remarkable – not least the syncopated introduction which (to me) anticipates some of the “Graceland” songs like “I know what I know” and “Gumboots”. The song is great too, not over-complicated with some lovely details – that organ punctuation, some tasteful guitar work. The lyric rises to the challenge too, it also points towards his Eighties songwriting, less specific but wise. “St Judy’s Comet” I didn’t understand when I was younger but bloody hell a song about getting your son to go to bed makes sense to me now! It’s actually quite touching, and even has a sense of humour – “Cos if I can’t sing my boy to sleep well it makes your famous daddy look so dumb”. Musically this always makes me think of “Lovely day” by Bill Withers, but that’s not a problem. “Loves me like a rock” closes the LP on a high – all rock’n’roll chord changes, gospel shouts and cheers and this was another childhood favourite. Pure joy. “There goes rhymin’ Simon” then has some great moments, but is let down by a few poor songs and arrangements. Maybe it was an attempt at a more commercial album, and some of the songs reference back to the music of the late 50s and early 60s. A good album then, but a step down from the debut. It’s bland. Maybe I’m not the right person for this album, maybe I never will be. For a start, Simon’s acoustic guitar is surplanted by more and more electric piano. The title track is dominated by that tremelo Fender Rhodes, has that mid 70s clean ‘thud’ drum sound, not showy, and a slushy string arrangement. And is that a sax solo? Yuck. And the words are small minded and petty. I mean…I know I might get stick for this because this is probably a much loved album (checks reviews on Amazon…yes people love this album) but I find it so disappointing after the first two LPs. Anyway, back to the music. “My little town” sees Art Garfunkel return to the fold, and it actually pushes Simon a bit. “You sing such sweet songs” he told Garfunkel. This isn’t sweet and it hurts. Anyone wanting to get away from their own “little town” would identify with this song. Again I remember it from my childhood, that piano introduction, the build up. For once the arrangement is good and when Simon and Garfunkel really let go at the end it feels like they are trying to tear their past to pieces. Then we return to the swirling Univibe guitars of the mid 70s of “I’d do it for your love” and it all goes to mush again. A collection of scenes from a relationship in freefall, and is this a mid 70s “Abba on the jukbox”? Perish the thought. “50 ways to leave your lover” is great, from the distinctive drum pattern onwards – another favourite of mine. And considering the chorus was a rhyming exercise wriytten for his son, it struck a chord wlith me when I was young. For all my moaning, some of this is good which makes the bad stuff so frustrating. I’m sure “Night game” is really clever, an extended baseball metaphor for a relationship. Or is it just about a baseball game? Whatever, I find it dull. Sorry. “Gone at last” at least has some energy, even if it’s a retread of the gospel stylings of “Loves me like a rock”, only faster. “Some folks’ lives roll easy” is snoozeworthy, more Fender Rhodes. I feel like I’m missing something really important on some of these songs. Other people like them, love them – why don’t I? “Have a good time” I really don’t know how to take. Is Simon being ironic? Is he taking the piss out of the Me Generation? Or did people take it at face value? I hope not. I keep thinking of the word “enervated”. Or maybe it’s all ennui. Ditto to “You’re kind” really. It’s like a petty letter to a former lover. “Silent eyes” tries to be dramatic but just slides along using all the ideas already used on the album – the 6/8 rhythm heavy on the hihat, resounding piano, restless melody, gospel backing. Andwhat for? Oh hang on, there’s meaning here – is it about his Jewish faith? I don’t know, I don’t get it, and I’ve lost interest. Well from here it was a greatest hits LP for CBS with two new songs (was this the first hits LP with new songs to entice purchasers? ), then an appearance in “Annie Hall” then a move to Warner Brothers with the promise of a film (“One trick pony”) which flopped. And from there, a return to S&G in Central Park, and “Hearts and bones” (under-rated and featuring some of his best songs) then “Graceland” and onwards and upwards (and downwards with “Capeman”). Simon has always been interesting and rarely boring. But on “Still crazy” he sounded smug, self-centred and tired. Maybe that’s what 1975 was like. By 1968 Colin Blunstone had had enough of music to leave the industry completely and become an insurance salesman. The Zombies’ swansong “Odessey and Oracle” had been generally ignored in the UK and the band had split up, with Rod Argent and Chris White forming a new band to go in a ‘heavier’ direction. Then Al Kooper boosted the band’s profile in America and “Time of the season” had become a hit, and slowly the band’s reputation was restored and “Odessey” started it’s slow but relentless climb to become a much-loved classic. (I purchased a foreign CD of it in 1988 with a horrible blue cover and sounding like crap, but the album’s brilliance shone through). Blunstone quietly returned to active service, recording a number of singles as Neil McArthur for Deram which were very much period pieces – Neil’s version of “She’s not there” leaps between intimacy and orchestral bombast, with some heavy fuzztone guitar soloing thrown in for good measure. He does a peculiar version of Nilsson’s “Without her” too. And then he disappeared, to return with his debut album in November 1971. In the meantime Argent and White had assembled their own band named Argent which would back Blunstone from time to time, as well as provide material for him. In November 1971 Blunstone issued his debut album “One Year”. It’s not quite a concept album, but it’s a diary of one year – the movement from one relationship to another. Blunstone’s short and sweet sleeve note explain this – “this album is the story of a year of mine…a time of searching and beginning all over again”. The album starts quite conventionally – “She loves the way they love her” is a full band song written by Argent and White. It’s a witty take on the fame game, noticable for the harmonised lead guitar parts which anticipate Brian May’s work in Queen, and for Blunstone’s beautiful voice, breathy and high. A good start then. “Misty roses” is of course the Tim Hardin song, and it starts in a typically folkish way, a solo fingerpicked acoustic guitar and Blunstone tenderly singing the words. (This seems to be the blueprint for a lot of the acoustic side of Blueboy’s work, by the way. No bad thing). And then at 1 minute 40 seconds the final guitar strum is matched by an ominous low cello note, and a beautiful string arrangement enters. And my word what an arrangement! It moves from flowing to brutal atonal stabs, with the instruments spread across the stereo spectrum it sounds like an argument in audio form – sharp cuts, harsh words, stunned silences, cutting from left to right and back again. Someone (Marcello I expect) could probably tell me the arrangement is based on a particular composer but I don’t know these things. All I know is that it hits me hard in the heart and brings tears to my eyes. When Blunstone returns to reiterate a verse, the arrangement is playing strange harmonies off the song’s real chords. I know I used to hear this song back in Leeds (aged five or thereabouts) and be absolutely terrified of this song. “Smokey day” – another Argent and White song – is just as ominous. Blunstone harmonises with himself at odd angles and the strings and a harp drag around the room. The girl has going but the memories remain. Scary. “Caroline goodbye” is Blunstone’s first self-written song and what a start. Finally confessing her name (it was actress and model Caroline Munro), it’s another full band song with some lovely string arrangements by Tony Visconti. Blunstone’s words cut hard – “I should’ve seen sooner, no use pretending, I’ve known for a long time your love is ending”. But he sings them so tenderly, so gently. “Though you are far away” is more harp and strings – stark and stunning. It’s hard to say if this is to the old love or the new love, but it again hits home. Another Blunstone song, he really hid his light under a bushel by not writing for the Zombies. The arrangement again is shot through with silences and dischords. And that’s just side one. Side two starts with “Mary won’t you warm my bed”, a bit of a Motown / “What’s going on” stomper with another Visconti arrangement. It’s lush – in the proper sense of the word – lots of pianos and guitar stabs and horns. It’s great stuff, and Blunstone lets rip with a wonderful vocal, hitting high notes all over the place. And a perfectly natural key change too. From here onwards, the band pretty much disappear and it’s strings and harps all the way. “Her song” is intimate and beautiful, a picture of lovers awakening. Dammit, I’m tearing up again in the chorus. Sorry. That’s such a lovely portrait of devotion. “I can’t live without you” shows the relationship progressing, Blunstone’s own song and it’s simple – what he can’t say beyond the title, he just sings a high wordless melody for the chorus and hell that’s enough. “Let me come closer to you” is all brass band, but not brash at all. Is he singing to his new love, or is it to his audience who he is also approaching? Back to his sleeve note – “this album is the key back to the road, and so to people – where music really is”. Finally “Say you don’t mind” is utterly joyous. Of course at that age I didn’t know Denny Laine’s original, and probably not a lot of people did. But this is just wonderful – the happy string arrangement, and Blunstone sings with audible joy. And that final note at the end – it’s the sound of freedom unleashed. It sends shivers down my spine. While Blunstone looked pensive and away from the camera on the sleeve of “One year”, holding his hands behind his head, elbows pointing forward – on “Ennismore” he is in full black and white casual portrait mode, a faint smile on his face looking directly at the camera. All doubt is gone, he is now approaching his audience. By now he has played some concerts, some with a string quartet, and has taken his music to the people. “Say you don’t mind” has been a hit – reaching number 13 in the charts – so he has re-established himself. Time for a second album, with the same team of musicians – the Argent crew again, with guitarist Russ Ballard adding songs too. Indeed the opening track of “Ennismore” – and lead single – is Ballard’s “I don’t believe in miracles”. This is a lovely ambiguous song – is it about a relationship, or is it about the search for faith? The song is very subtle, and the backing is perfectly understated, and Blunstone sings like a fallen angel. The fact that this barely reached the top 30 in late ’72 is criminal. The next four songs are all listed under the subtitle “Quartet” and it’s like a miniature “One year”, all written by Blunstone – most of the album is written by him actually. “Exclusively for you” is all Fender Rhodes and bass guitar with a little string arrangement, but the emotional depth is lacking. It’s quite conventional, unlike “One year”. “A sign from me to you” is odd because I’ve not heard it in many many years. And what’s oddest is that the chord sequence and melody is almost identical to “The weird wild and wonderful world of Tony Potts” by the Monochrome Set. Again it all goes a bit mid 70s rock when the full band comes in, which is a shame because the song is great. But I can’t get over how similar to the Monochrome Set song it is – I knew that song was familiar when I heard it years ago. Oh, and the lead guitar part would dearly love George Harrison to be playing it. “Every sound I heard” is also very familiar and rather pleasant. Damned by faint praise there. Actually all the changes from full-on to quiet are effective. In fact with the backing vocals this sounds more like the Zombies than anything else so far. The lyrics however seem quite cliched – rhyming ‘life’ with ‘wife’. Oh no. “How wrong can one man be” is better, even with a few clunky lines – “That last and final time”? Oh dear. The next few songs whizz past in a haze of normality. “I want some more” sounds like it should soundtrack “Holiday ’73”. “Pay me later” is all boogie piano and slide guitars. I can’t help feeling Blunstone’s heavenly voice is being wasted on these songs. And then he shows he still has the magic. “Andorra” is less ‘seventies rock’, built on acoustic guitars and piano and with some appropriately Spanish touches – castanets, Spanish guitar and mandolin trills. Even the sighing backing vocals hark back to “Time of the season”. The song is gorgoeus – a travelogue of a holiday, searching for the sun and finding none. And… I always feel there’s something darker in this song, something unspoken, some hidden horror from the holiday that isn’t mentioned. I’m probably wrong. “I’ve always had you” is perfectly average to begin with, gentle acoustic guitar and voice then halfway through it all goes wrong – electric piano, Leslie-tones guitar and a wailing sax. Why? Oh yes, because it’s the seventies. “Time’s running out” and so is my patience. “How could we dare to be wrong?” is heartfelt but it’s so utterly cliched, tired guitar licks, tired music. Oh Lord this should be better than this. And the album ends and I don’t want to hear it again. The bad outweighs the good – the opener, the quartet songs and “Andorra”. It’s clearly Argent in control, and the unique nature of “One Year” is slowly fading away. Oh I wish I could find some kind words to say about “Journey”. It starts well, at least. The opening trilogy “Wonderful” / “Beginning” / “Keep the curtains drawn” is absolutely fantastic. The use of the Kings Singers and the arrangements on those three songs is great and unique. It tells a story too, the anticipation in waiting for the loved one and their return and hiding away and getting close with them. And having created a fantastic ten minute opening, Blunstone coasts for the rest of the album. Slight changes to the musicians – Pete Wingfield on keyboards, Duncan Browne on guitars – but it sounds like session musos going through the motions. It goes in one ear and out of the other. It makes “Still crazy after all these years” sound like a work of godlike genius. “This is your captain speaking” is the album’s nadir, a strange concoction about a drunken pilot announcing he’s pissed over the tannoy. Please don’t make me hear this again. After his third solo album, Blunstone left Epic Records and moved to Elton John’s Rocket Records but the hits dried up. He still had the voice though, and used it on songs for the Alan Parsons Project – I remember “Old and wise” being played a lot on the radio even if it didn’t seem to be a hit – and there was a synthpop version of “What becomes of the broken hearted?” with Dave “Not that one” Stewart which got Blunstone back on Top of the Pop to Peter Powell’s surprise. And then the inevitable happened. As the reputation of “Odessey and Oracle” increased and the reunion circuit beckoned, the Zombies reformed and played the album live, alongside some Blunstone and Argent songs. There’s an “Odessey” live CD with three songs from “One year” showing what that these songs can be performed live with a respectful audience listening. Blunstone is still making music and touring with various Zombies and my parents have seen a show or two and really enjoyed it. Is this a scientific test that requires a conclusion? No not really. My main conclusion is that simplicity can often produce the best music. Both debut albums revel in their simplicity, their nakedness, their honesty of expression. They aren’t overloaded with overdubs or musicians or solos, they say what they need to say as concisely as possible then push off. No extrapolation, no showboating. It’s odd – this week I picked up a copy of “Mid-Eighties” by Robert Wyatt, an artist I’ve admired rather than loved or understood. I’ve struggled with “Rock bottom” for twenty years now. I recognised some song titles from the “Work in progress” EP that Peel played extensively in ’84. I’ve played it over and over in the last few days. Again it’s simple, organ and piano and vocals and sometimes rhythm – percussion or drumbox. But it gets to me, I understand it, and I feel like a door has opened into Wyatt’s music so I can go and explore it. And the CD reminds me of “Love letters”, the new album by Metronomy which is equally simple in execution but complex in thought. And that goes back to the Neneh Cherry LP too. Simplicity is often the best policy. And I listen to some modern hyper-produced hit single by Katy Perry or Lady Gaga or Bastille and it sounds TOO MUCH. There’s too many layers. What’s great about Pharell’s “Happy” – and “Get lucky” to some extent – is that the song is at the heart, it’s not about over-production, being bigger louder stronger overpowering. It’s about songs, human expressions, communication – joy, sorrow, pleasure, pain. 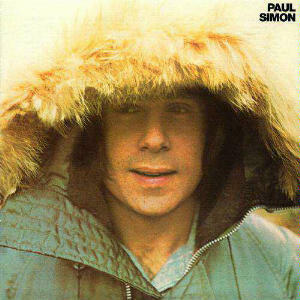 “Paul Simon” and “One Year” communicate, pure and simple. Next time – Dive into yesterday. Tremendous writing as ever – a heroic effort, even! Thank you so much. I can imagine the opening trilogy on “Journey” having huge emotional resonance to both M and yourself then. Great article – but a minor point of information…..Colin Blunstone did write a couple of songs for the Zombies, although in terms of output he came a distant third to Chris White & Rod Argent. ‘Just Out Of Reach’ & ‘How We Were Before’ are Blunstone compositions. Check them out, they’re good!! The reformed Zombies are excellent – I’ve seen them on numerous occasions over the last decade (including one of their ‘Odessey & Oracle’ 40th anniversary gigs) and they never disappoint. Blunstone solo is worth seeing, too – he covered a good half of the ‘One Year’ album when I caught him in Stratford Upon Avon in 2012 much to the delight of the audience. He still sings like an angel after all these years!! Thanks for the corrections Andy! Cheers. Thanks Rob. Most enjoyable. I’m a recent convert to One Year and Ennismore.